How to get into the PR marketing business. The importance of a good team that is dedicated to providing a service for people who need it. How investing and building a business early on can build a strong business. The impact of running a business and how it affects family life. Connecting with the community to learn what you can bring to them expands your ability to provide service. There is a large benefit to training freshly graduated people to do exactly what you need them to do. If you take a loan it allows you to have some money to invest and work into your business. Time is a precious resource and should be dedicated to the values that improve life. Lee Richter is an award-winning, dynamic business innovator and a visionary recognized again by the San Francisco Business Times as one of their Top 100 Women Business Leaders in 2018 and winner of Elite Business of the Year from Infusionsoft. For more than 25 years, she has launched a dozen successful businesses in the financial, education and lifestyle sectors. Her unique vision and drive revolutionize business as her companies produce hundreds of jobs, educate tens of thousands of people and make millions in revenue. campaigns and products that represent her mission and her values. Her business acumen and talent has generated national and international results with clients such as Bank of America, Merrill Lynch, Robertson Stephens, Autodesk, Stanford Research Institute, Edmunds.com, The Pet Concierge and Del Webb among others. the age of 9. 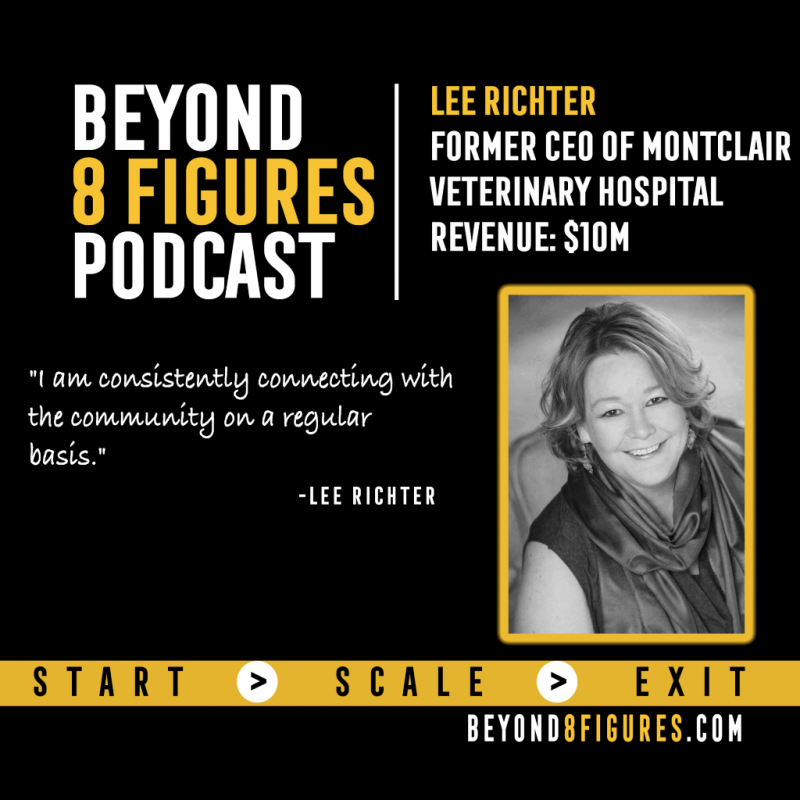 Lee also helped her husband, Gary Richter achieve his dream of becoming a small animal and wildlife veterinarian and they own two veterinary hospitals in the San Francisco Bay Area. Lee and her family love to travel and explore the world together.